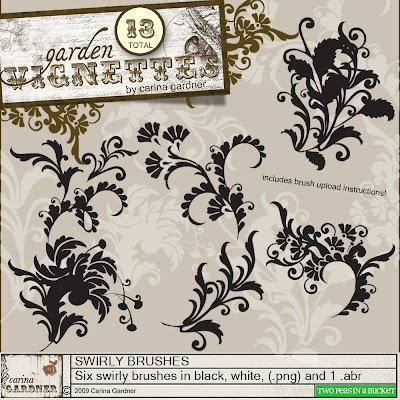 Swirls and curls have always been a favorite embellishment for scrappers and these days you can find flourishes in every size and medium imaginable. Here are a few of my favorite options for adding a little flourish to your designs. 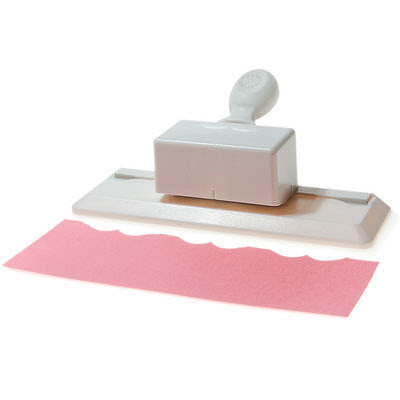 This flourish punch is the perfect way to add a unique edge to numerous parts of your layout. Don't stop with just cardstock or patterned paper. How about using this punch on your photos? Use these gems to some sparkle with a more elegant touch. 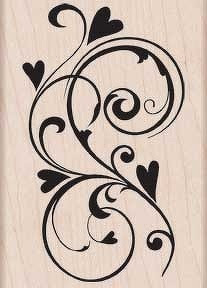 The little hearts add the perfect touch to this lovely swirl stamp! 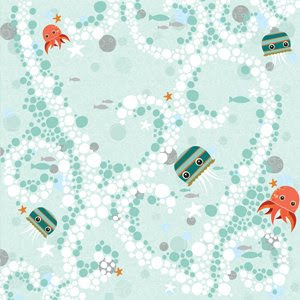 While this design of bubbles and sea creatures certainly isn't your typical flourish, it's perfect for a fun and summery theme. Use these digital brushes and you can make them any size or color to suit your needs.